BAUHAUS CUSTOM HOMES is a design firm and custom home builder dedicated to creating authentic and sustainable architectural styles for modern homes and CONTEMPORARY estates. following the German Bauhaus principles of unifying art, craft, and technology, we build with integrity and design intelligent homes to complement lifestyles and establish comfortable, and sophisticated environments for our clients. Unifying the function and flow of your life with intelligent aesthetics is the art a home. Profound design and distinguished architectural styles are developed from a thorough understanding of every clients' and family's needs. Forward thinking partnered with traditional practices that have stood the test of time are the fundamentals of our craft. Bauhaus designs and builds with sustainability and integrity at its core; creating homes that honor the standards of luxurious environments and implement the advances in building science. From 3D Modeling to virtual reality presentations to real-time notifications on job-sites, our projects are streamlined by the connectedness of technology. We integrate the latest architectural modeling tools with industry project management applications to optimize client engagement. We collaborate with our clients to create luxurious, comfortable homes to enjoy for a lifetime. Modern styles to timeless estates, we are dedicated to producing intelligent environments that suit our clients' families and lifestyles. As proud members of the Dallas Builders Association, Bauhaus Custom Homes has served the residential community and construction industry with integrity over the last decade. From $800K homes to $10 Million dollar estates, Bauhaus designs and builds in many of Dallas' luxury home communities including Bluffview, Highland Park, University Park, Lakewood, Preston Hollow, Frisco and Plano. From a project's inception, we keep clients up-to-date on their home's progress through desktop and mobile applications that expedite collaborative input and allow real-time engagement. Designers and construction experts work together to create a comprehensive 3D model for each new project. This phase immerses clients into their dream home, before structural and material decisions are final and construction begins. 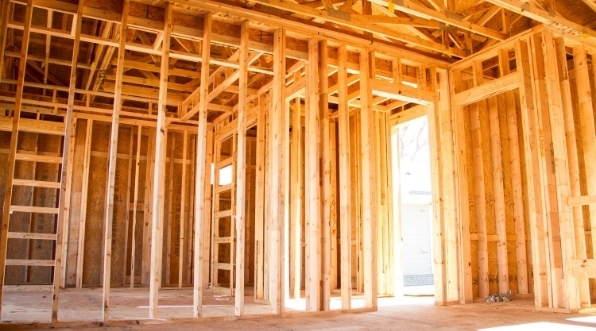 Comprehensive project scope is documented at all stages of the custom home building process. This allows us to establish a fixed cost budget for our clients, remove any assumptions and accomplish timely construction deadlines. Whether we are designing and building your home, or just building, we partner with you and your architect to create a streamlined workflow that accommodate busy families and business professionals to honor build times. Bauhaus Custom Homes can bring your dream home idea into realty. We partner with clients and architects alike to create beautiful and award-winning architectural styles. Bauhaus Custom Homes is an innovative and acclaimed Dallas custom home builder with over 10 years' experience in construction. Our firm and industrious construction process produce efficient and enduring homes. From architectural restoration to home expansion, Bauhaus Custom Homes provides complete home renovation services.